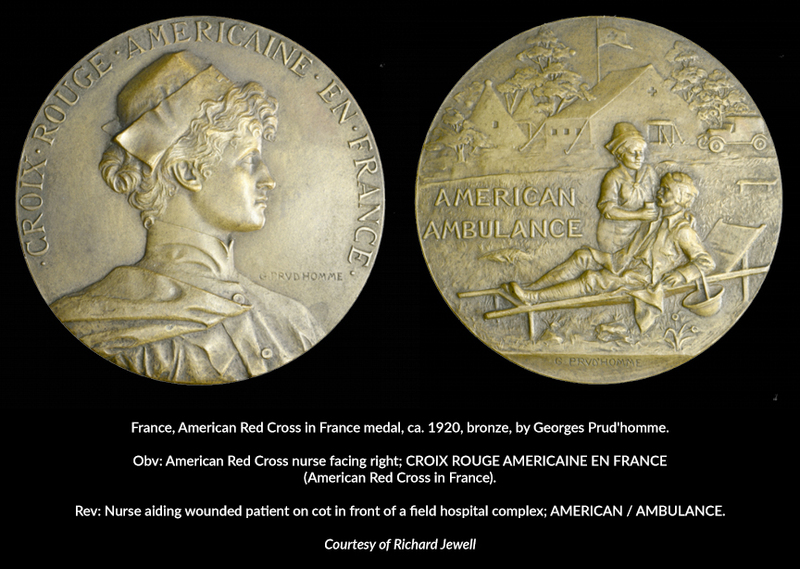 World War I inspired a fascinating array of medallic art and popular subject was the Red Cross – a worldwide organization that played a critical humanitarian role in the war and is still relevant today. 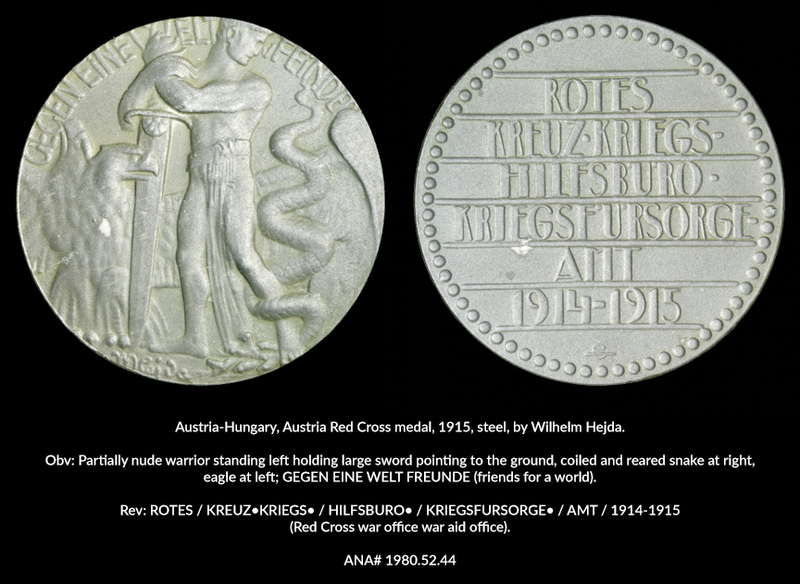 These medals were created to commemorate and raise funds for the Red Cross during and after the war. “Trenches to Treaties: World War I in Remembrance” showcases many of these beautiful pieces of art. 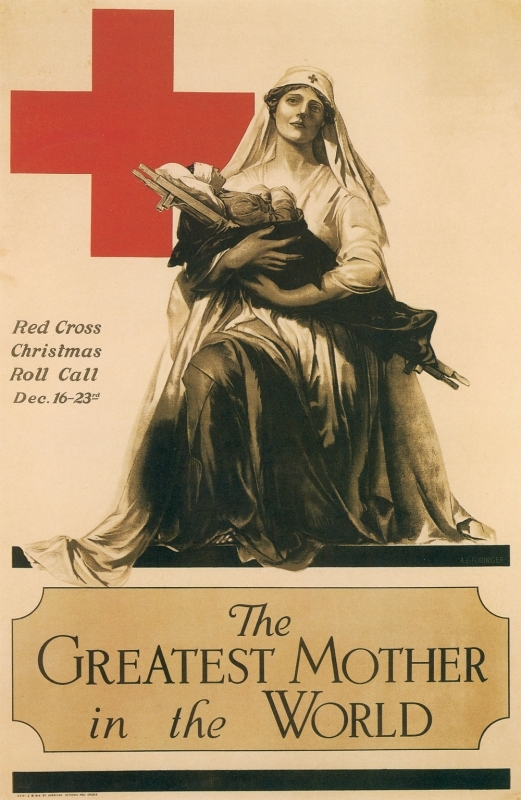 The concept for the Red Cross was created in 1859 at the Battle of Solferino during the War of Italian Unification. Swiss businessman Henry Dunant witnessed 40,000 dead and wounded men on the battlefield without medical attention. He proposed an agency to provide humanitarian aid during wartime and an international treaty recognizing the neutrality of the agency. 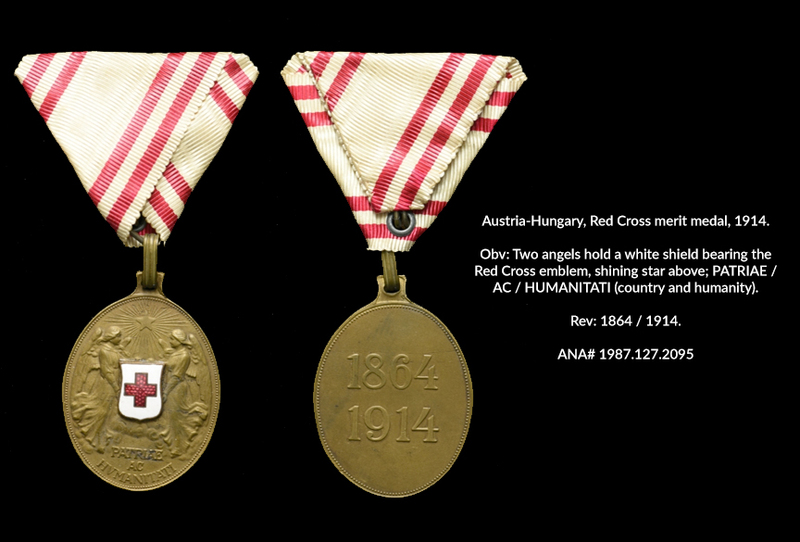 The agency became the International Committee of the Red Cross (ICRC) in 1863. Its emblem was a red cross on a white background, the inverse of the Swiss flag. A year later the first Geneva Convention was adopted initially by 12 nations, codifying acceptable treatment of sick and wounded soldiers. 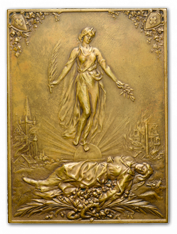 Dunant was awarded the first Nobel Peace Prize in 1901 for these accomplishments. The ICRC encouraged the creation of national Red Cross societies, today known as the International Federation of Red Cross and Red Crescent Societies. These organizations were independent from the ICRC, which acted as a liaison between the societies. During World War I the ICRC expanded from ten employees to over 3,000 and organized itself into national bureaus for each combatant nation. 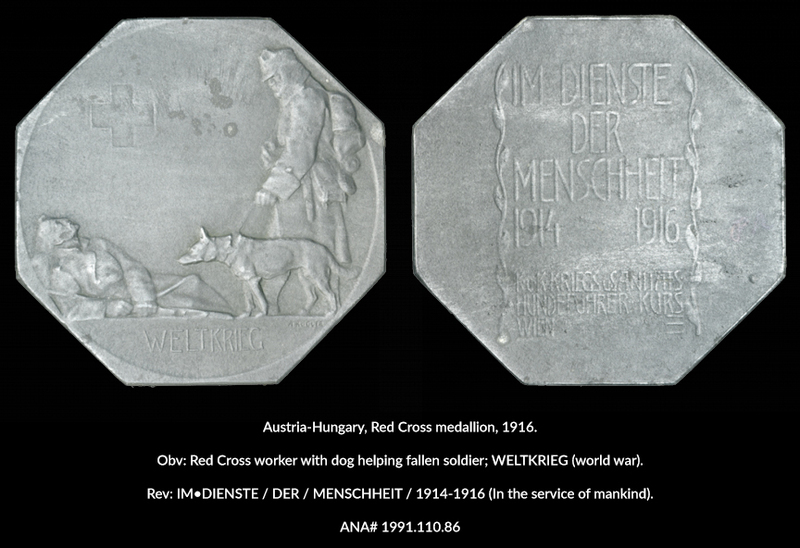 Red Cross efforts were invaluable during World War I. The ICRC stablished the International Prisoners-of-War Agency that was responsible for arranging the exchange of over 200,000 POWs, gathering records on millions of prisoners, and transferring mail, money and aid packages. Records gathered enabled over two million POWs to be reunited with their displaced families. Red Cross delegates were sent to inspect 524 POW camps during the war. National societies deployed thousands of nurses from around the world to help deal with the unprecedented number of casualties. The ICRC was also charged with monitoring combatant nations’ compliance with the Geneva conventions. It was a leader in protest over the use of chemical weapons and was instrumental in having their use banned after the war. 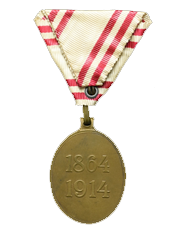 For its work, the ICRC was awarded the 1917 Nobel Peace Prize – the only one awarded during World War I.
Clara Barton, famous for her pioneering efforts to improve nursing during the American Civil War, became aware of the ICRC while visiting Europe. She and a group of associates founded the American Red Cross in 1881. The organization is dedicated to helping people in need throughout the country and world. It received congressional charters in 1900 and 1905. 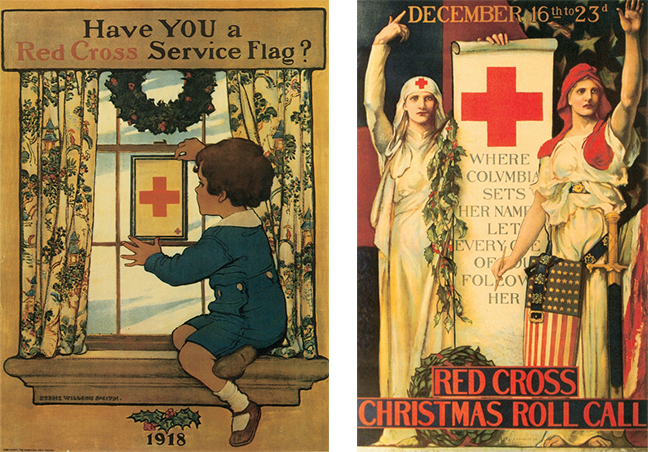 The American Red Cross experienced tremendous growth during World War I – from 17,000 members in 1914 to over 20 million adult and 11 million junior members in 1918, organized in 3,864 chapters. Americans contributed $400 million in funds and material to support Red Cross programs such as staffing hospitals and ambulance companies, and recruiting 20,000 nurses to serve in the military. Fantastic medals with a great history lesson. Thanks! 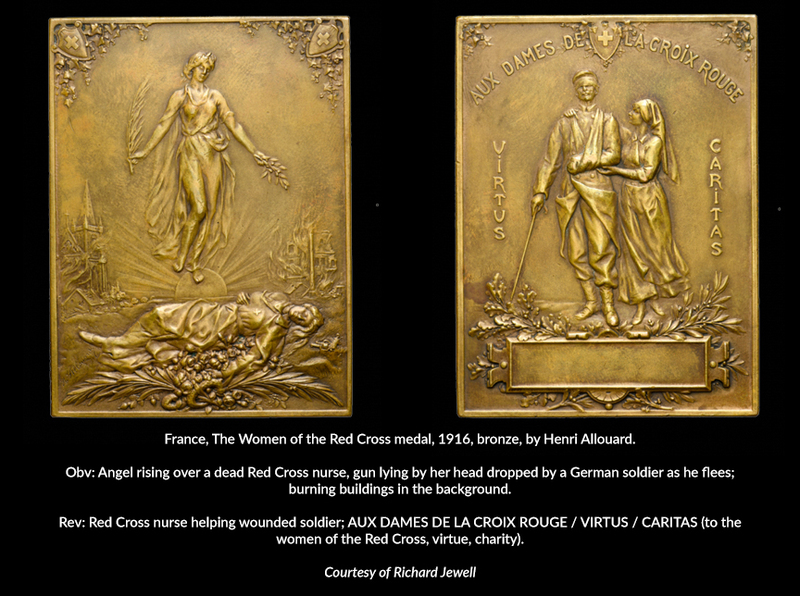 Beautiful medals, great blog, good piece of history. Thanks for this. All that are healthy should occasionally make a donation of blood to the Red Cross. They are there for all when help is needed. All of the above and swimming lessons, First Aid & CPR training and Blood Drives. An organization that matters! !